The situation: Candlemas—K.U. Leuven’s one-day school holiday. Horrible weather—grey, windy and sleet-y. And the subject at hand—restless and annoyed at the weather, not to mention bored (but not willing to let go of the one-day holiday to do lab-work). 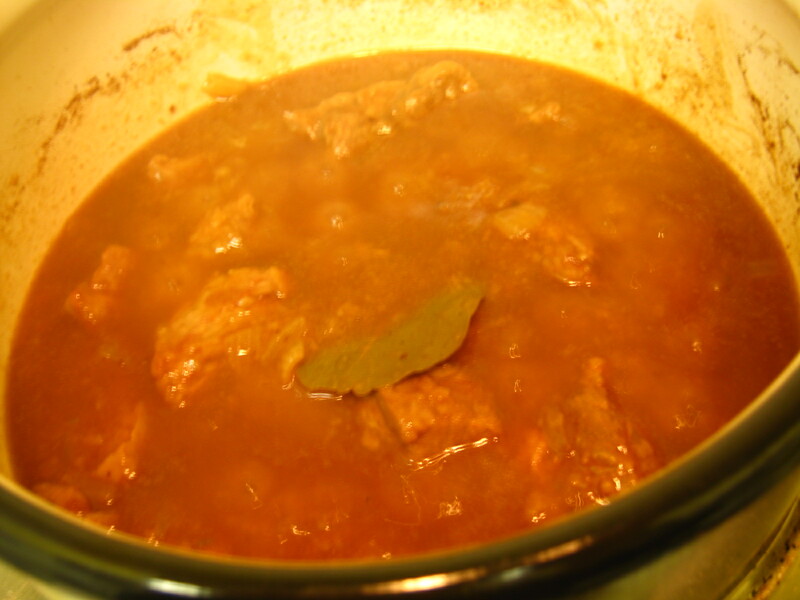 To break the boredom, to challenge myself and to channel the restlessness (what my former chemistry students would term “metaphysical unease”) to do somethiing useful, I hunted for my text-file copy of a typical Flemish dish—stoofvlees or beef stew (or la carbonnade a la Flamande). It’s the simplest one I could find via Google, although for my version I tweaked the one I found in here (a forum for Americans with Flemish descent) with this one. I even made my own fries to go with this—I was that bored! 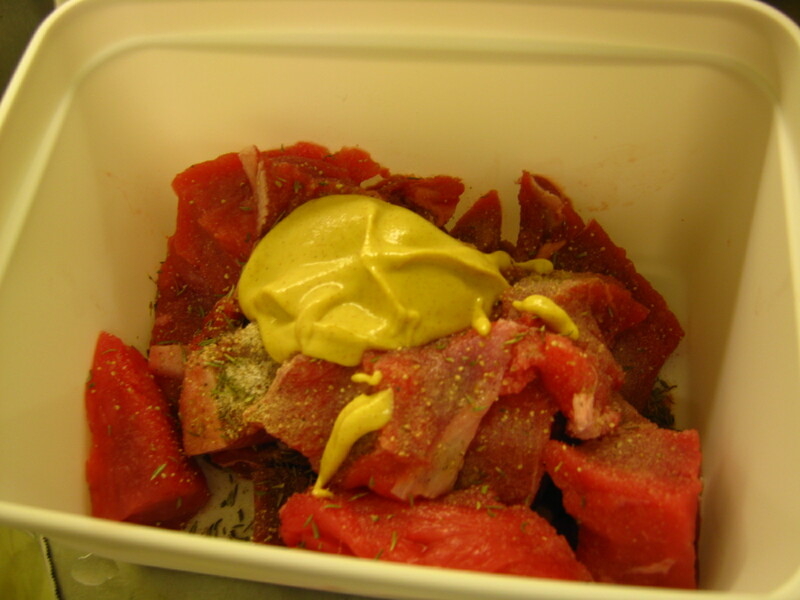 Marinate the beef cubes with salt, pepper, garlic, dried thyme and Dijon mustard for at least 15 minutes. Shake with flour until cubes are lightly coated. 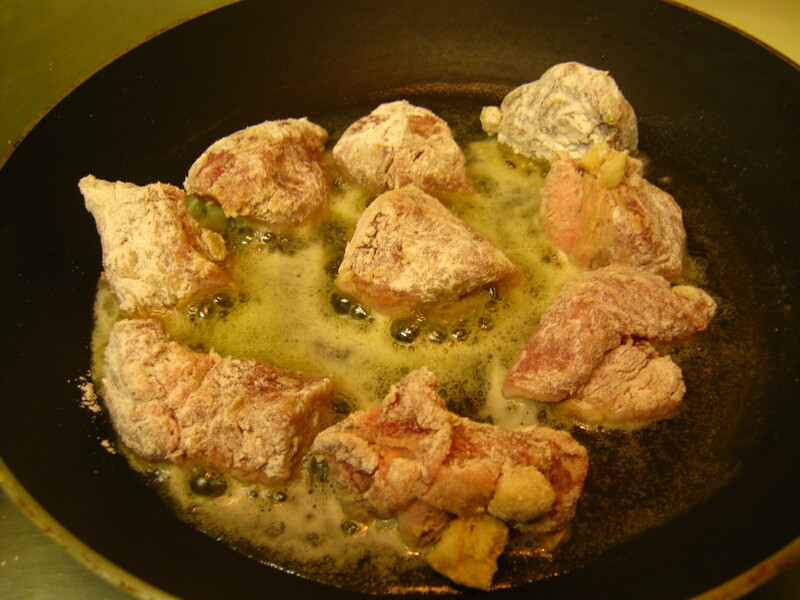 Fry the floured beef cubes in butter on a skillet until golden brown. Set cubes aside in a Dutch oven. Saute the chopped onions in butter (using the same skillet) until golden and translucent. Scoop the onions on top of the beef cubes. Deglaze the skillet with a portion of brown beer. Pour the resulting mixture over the beef and onions. Pour the rest of the beer and add one bay leaf. Place Dutch oven on top of the stove (set at medium), cover and let it simmer for an hour. Stir every once in a while to prevent sticking. 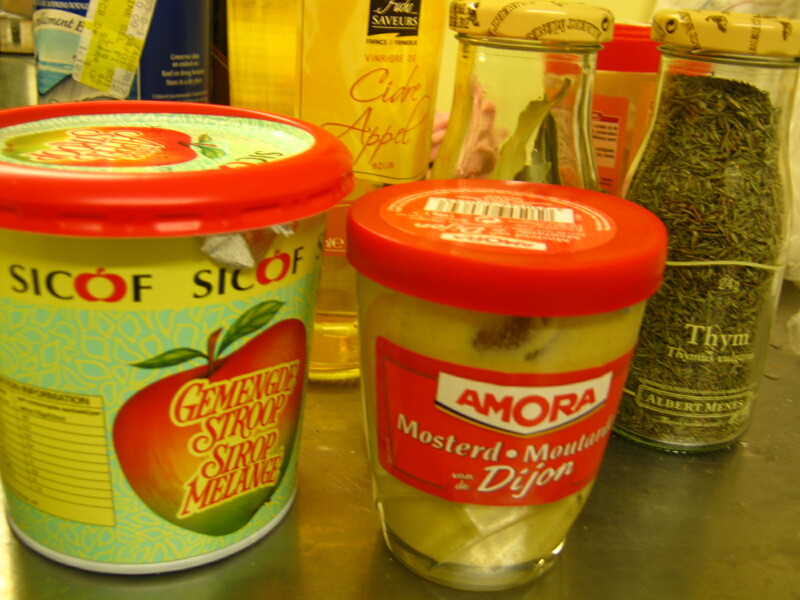 Once the sauce has thickened, add the vinegar and appelstroop. Mix very well. Adjust seasoning (salt, pepper) as you see fit. Serve with hot, crispy fries. Can I use a non-Belgian beer? As long as it’s brown or dark beer, that is. Dark beer has a more complex taste which makes it ideal for cooking and can stand up to the richness of beef, butter and onion mixture. Guiness may work, or cervesa negra. Can I use other Belgian beers? Why not? 😛 I can imagine stoofvlees made with kriek for that cherry kick. 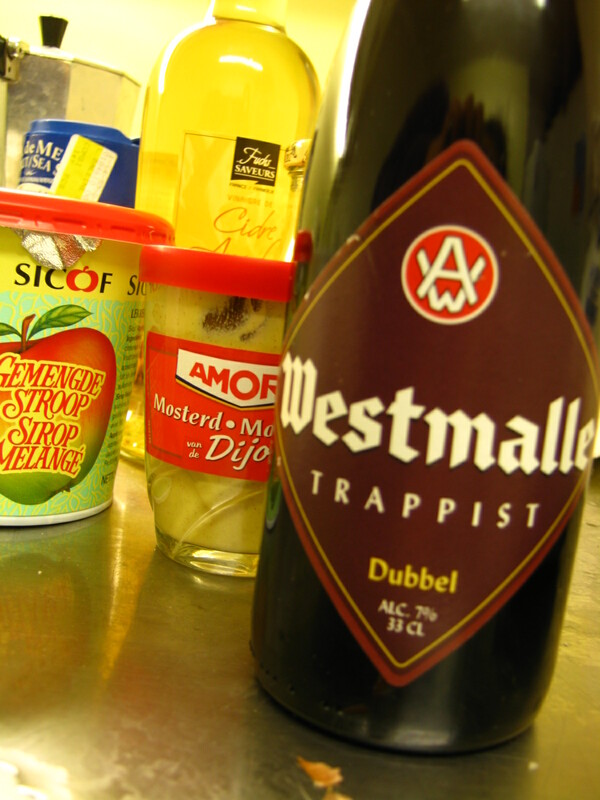 I was torn between using a Trappist brew or a geuze, but I wanted the sweet nuttiness that comes from Trappist beers. Does this go well with fries only? 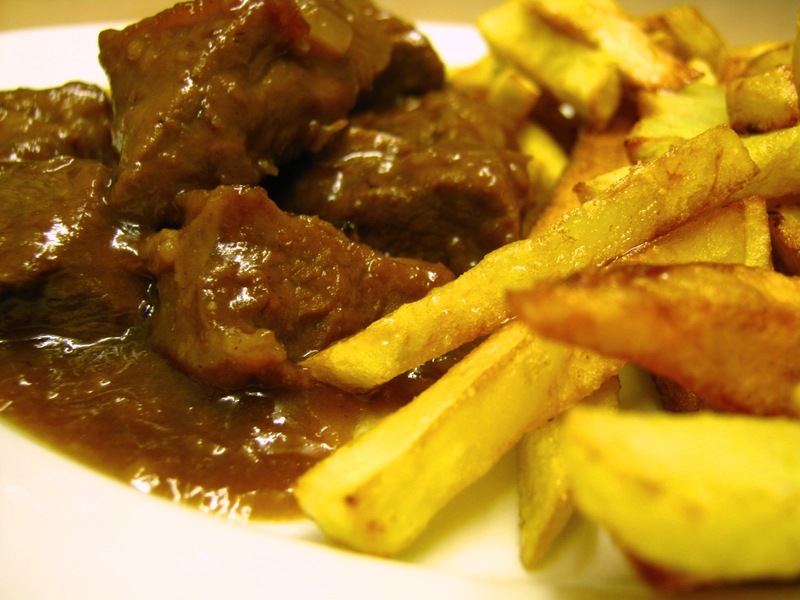 You can’t think of fries without stoofvlees, but the sauce has that sweet-sour piquancy that it can go with ANY bland carbohydrate source—I can eat this with rice, provided that it’s steaming hot. 😀 Definitely not traditional Flemish, but Flemish-Asian fusion, haha. If there’s one thing I’ve noted in this particular Flemish comfort-stew…because of the alcohol and vinegar used in cooking, this dish has the potential of aging well when stored at cool temperatures (makes me think of adobo yet again). Preparation and cooking take up a lot of time for stoofvlees, so it’s ideal to make this as a weekend dish, to be stored in batches in the fridge. To save more time, serve this with ready-made fries. But then again, can you really call yourself becoming Flemish if you don’t make your own fries?